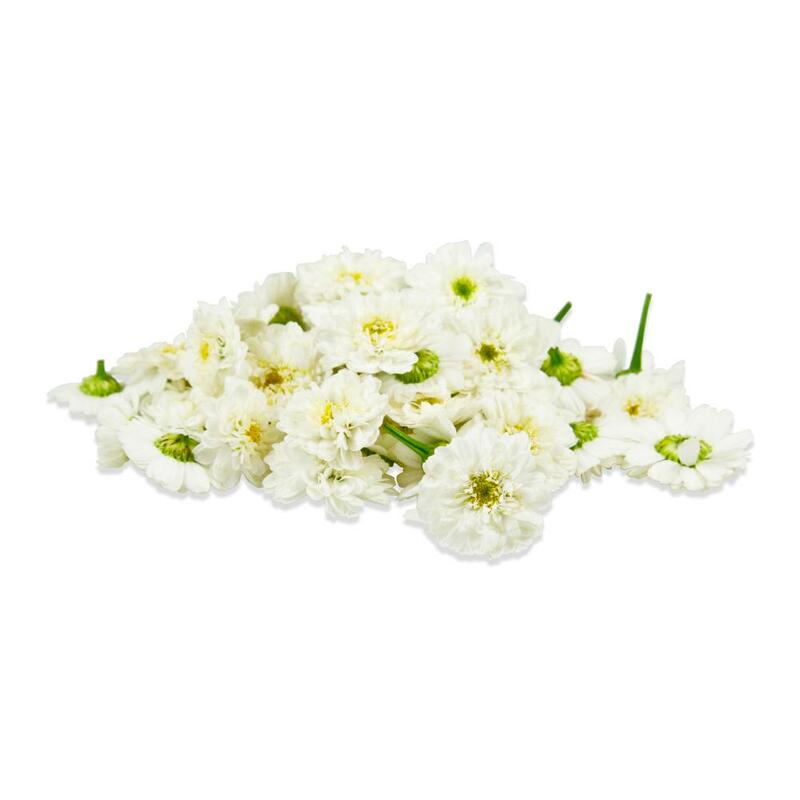 Micro mums (micro chrysanthemums) are frilly flowers with a beautiful pure white color that can provide striking contrast with other colors or draw the eye to specific spots on a dish, platter or banquet. 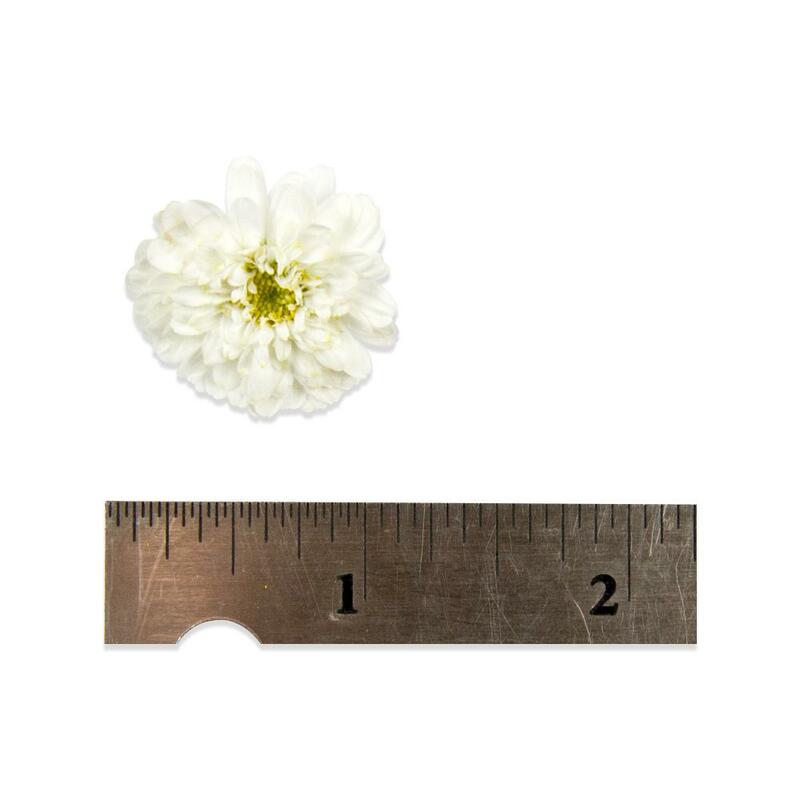 Each blossom is roughly 1" across or smaller. Because their flavor is rather bitter (with hints of mint), they aren’t recommended for use as an ingredient – but instead as a food-safe garnish or plate decoration. 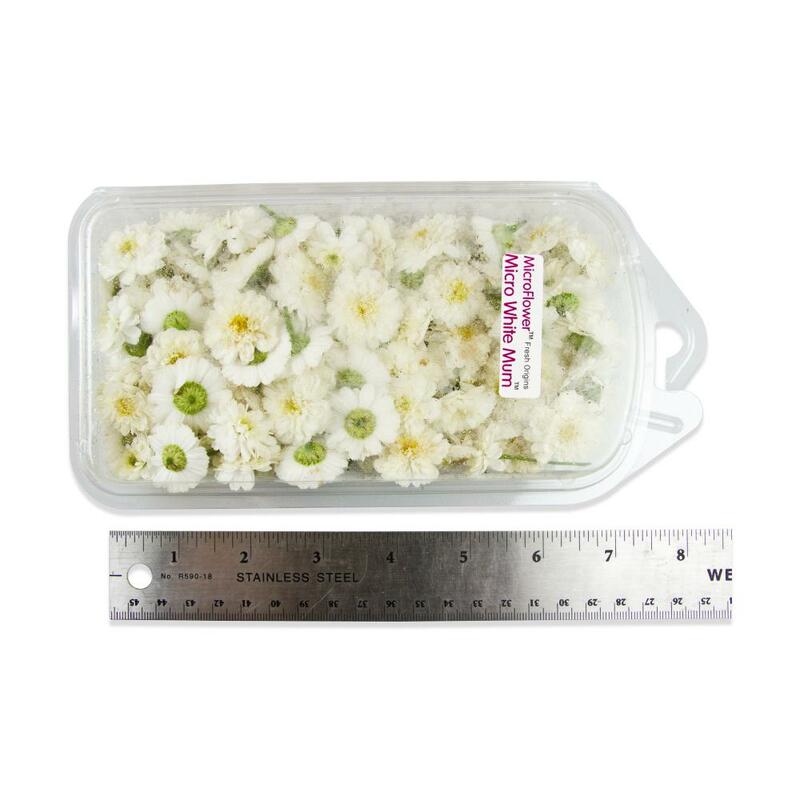 Keep micro chrysanthemums in their plastic clamshells in the refrigerator until you are ready to use them. Micro mums bring contrast to darker-colored foods, flowers, plates, and platters. Because they can be very bitter, put them to the side of food as an inedible garnish (even though they’re safe to consume) rather than directly on food.